In the meantime, I’d like to share some of our favorite wedding photos taken by our talented (and now friend), Amelia from mela de gypsie in Singapore. 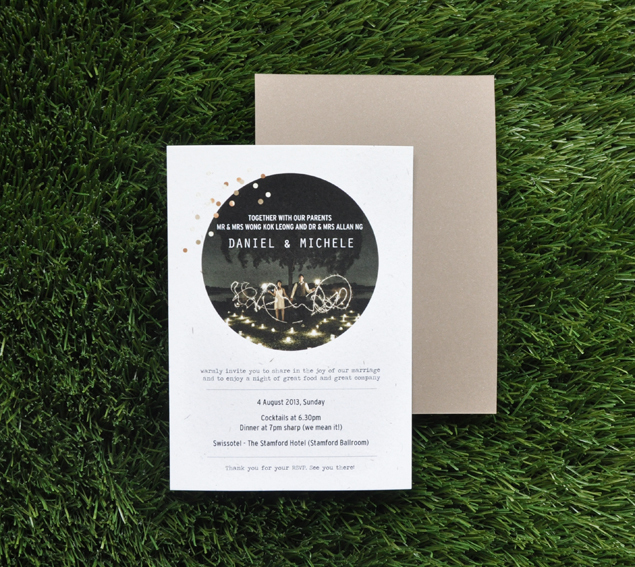 Slightly overdue, but time to share our wedding invite designs! 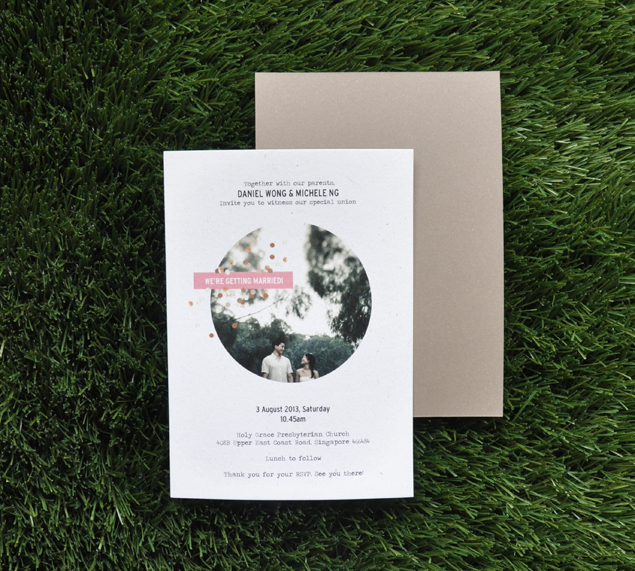 We used photos from our pre-wedding shoot by our wonderfully talented photographer Andrew Phua to whip together our invite designs. They were then lovingly printed by our friend Corrina from Papypress with a brown kraft backing for a more unique look. Gold foil hotstamped confetti would have been awesome on the card but wouldn’t have fit into our budget in this case. Nevertheless, we loved how the cards turned out! 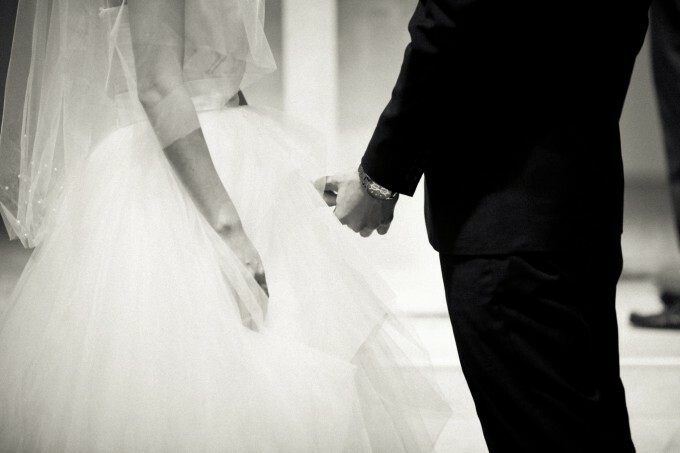 Many pre-wedding shoots have brides decked out in their wedding gowns and romantic poses. While those are beautiful too, Dan and I felt we would have been way too awkward (and sweaty) posing in really formal wear for shots. Furthermore, we had it such that he would only see me in the gown at the church walking down the altar, so a shoot in the gown would have been a no-go anyway. We had toyed with the idea of not doing a pre-wedding shoot, but when my friend Rayern showed me Andrew Phua’s portfolio from andrewphuaphotos, we knew we had to have his photos for keeps! 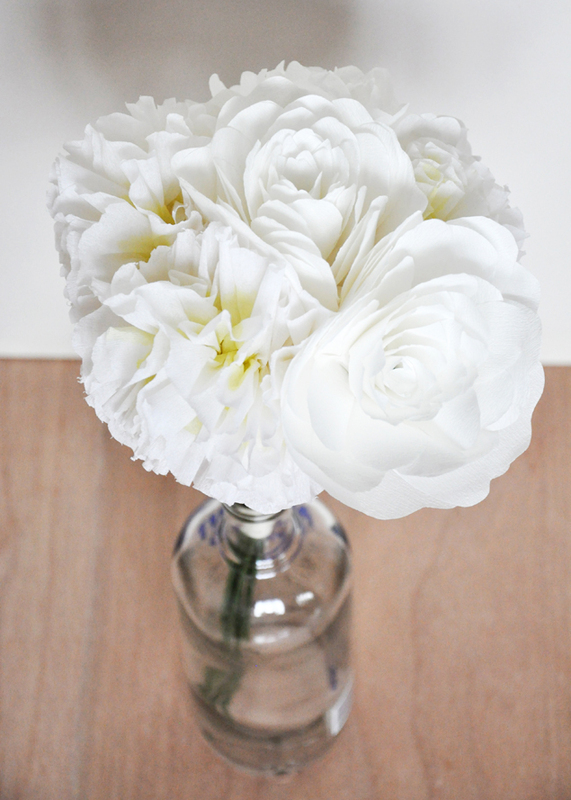 Sometime back, my friend Cherie and I put together some bouquets for the wedding made from artificial flowers. Those were beautiful but my hands were also itching to complete the paper flower set for the wedding (comprising paper flower pew decor, corsages and boutonnières and now bouquets). So I managed to squeeze in some time to put together a few paper flower bouquets. 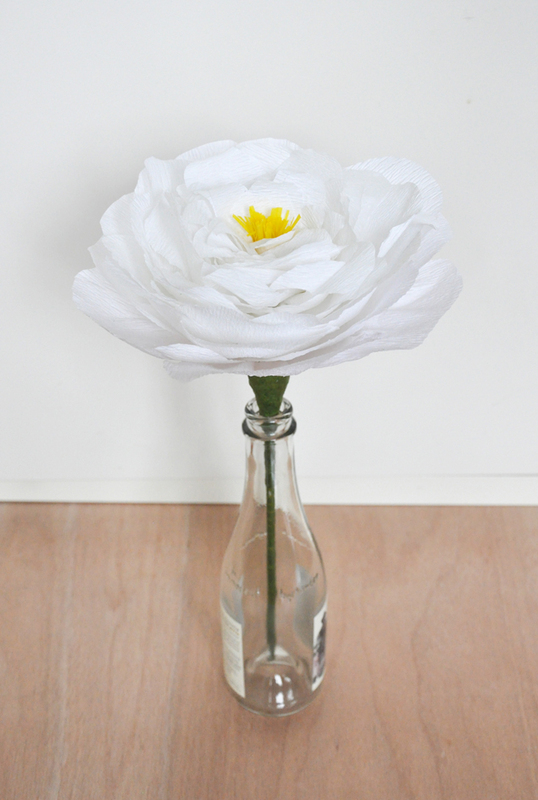 A single large paper flower for our darling flower girl Sophie. 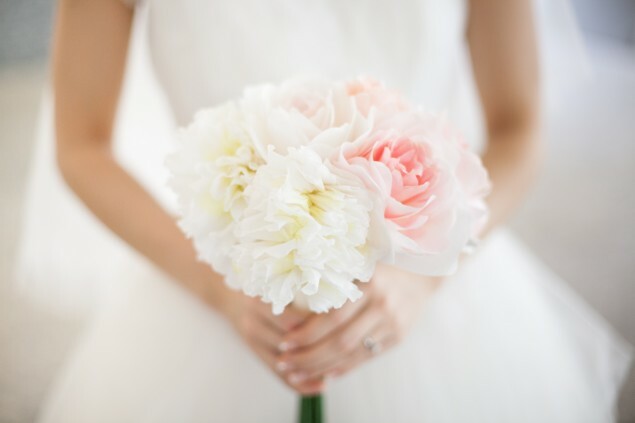 A simple flower bouquet for our sweetheart maid-of-honor Rachelle (she’s the reason we met! ).